We’ve redesigned ThematoSoup, as you may notice. With that body overhaul done, I thought it would be nice to do a regular engine service and upgrade a part or two. It’s a fact that good search functionality means a more usable website, which means more time people spend on your website, which then means more conversions. Native WordPress search functionality, although constantly improving, has never been up to the task. Let’s see how the plugins stack up. Relevanssi has been around for a long time, so it’s a well maintained and regularly updated plugin. Once you install it, you first need to build the index in order for it to work. Relevanssi doesn’t use cloud-based search service, so it may be a little slower depending on your hosting. You’ll find some nice options here, which could be better organized, but I found zero problems configuring it. Here’s a nice video that explains briefly how the plugin works. You can change the weight of your post titles, comment text, tags and categories depending on what you find most important. If you’re not satisfied with the options of the free plugin, there’s a premium Relevanssi version, as well. SearchWP idea is to be one solution for your website visitors and developers’ best friend at the same time. It’s one the most complete search solutions for indexing and searching WordPress backend and frontend. What’s interesting it that it works with not just PDFs, but other office files and text documents you upload in WordPress media library. It integrates natively with WordPress, so you don’t need to code anything to get it working on your WordPress website. You can exclude terms from the index or attribute them so you serve more relevant and useful results for your visitors. It integrates with WooCommerce, so if you have a store with many products you want them easily find. Remember that every good browsing eCommerce experience starts with a good search experience. And if you sell digital products it integrates with EDD (Easy Digital Downloads WordPress plugin). It also integrates with bbPress, too. WP Job Manager is another thing SearchWP plays nicely with. Let’s see what CodeCanyon has to offer. I’ve tried several and these are the best WordPress search plugins found on Envato. 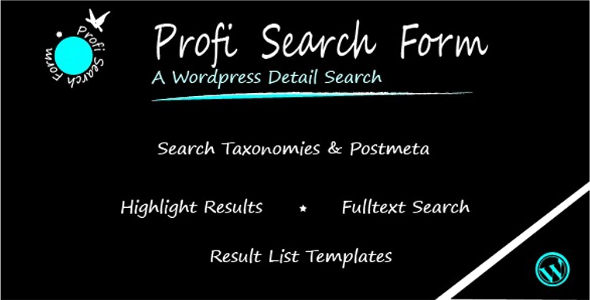 Profi Search Form is very customizable and WooCommerce compatible WordPress plugin with search phrases that get highlighted in the search results. 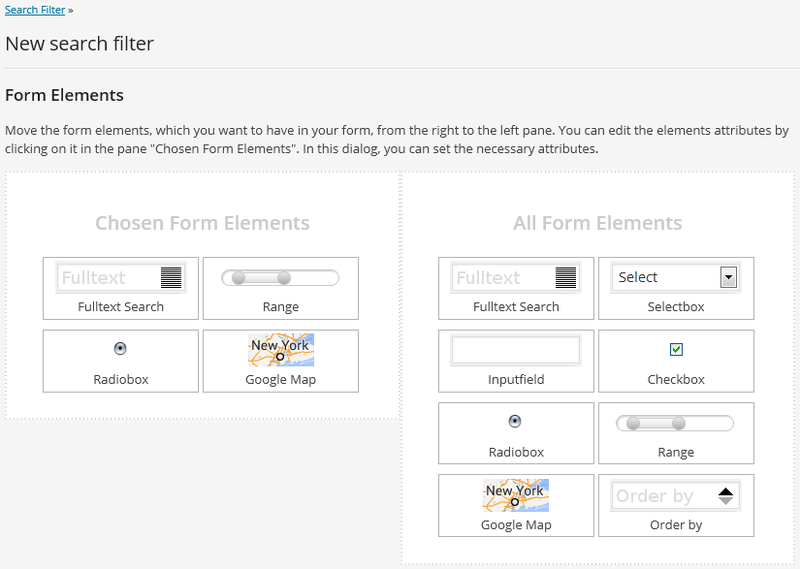 This plugin will get your WordPress search functionality and usability to a higher level. Your WooCommerce store will become so much easier to use and your customers will have a better experience searching the product they need. The search is completely Ajax based so the results will be shown automatically without leaving or reloading the website. Even though Ajax is in place, the “Back” and “Forward” buttons still work, like you expect them to do. So, when the visitors click “back”, their search results will appear. Ajax Search Pro plugin gives you a live Ajax search, so much comfortable search experience. The results are presented with images, so search results look more attractive. There are more than 60 colorful, fully customizable, so you don’t need to alter CSS yourself. But, it also offers a lot of options for developers who like to tweak everything. Ajax Search Pro was designed to boost the user search experience to the maximum. It seems that the plugin is updated regularly and the developers claim that every support ticket is answered within 48 hours or even 12 hours. The plugin works by sending an index of all your WordPress content to Swiftype servers, so your server never gets cluttered and since Swiftype doesn’t use MySQL at all, search results come up much faster. The Swiftype Search plugin replaces the standard WordPress search with a better search engine that is fully customizable via the Swiftype dashboard. During all this time, Swiftype service collects data and stores it in your Swiftype dashboard, where you can analyze them and make some manual changes to search results if you want to. You need to sign up for an account to use this plugin. The dashboard gives you analytics data and you can make tweaks to your search engine there. Whichever WordPress search plugin you choose, you’ll greatly improve your website user experience and hopefully, keep visitors on your site a little longer. Good search functionality gives people a lot of power and is a major time-saver. As you already know, happy users are the ones that are likely to convert. If you have experience with WordPress search plugins or know a trick or two on how to configure them for maximum effect, share it with me. I’m an SEO guy and the search has always been my thing. I am the SEO & a co-founder at ThematoSoup, sharing marketing best practices, how to simplify your online business and make it more manageable. Do you know if Relevanssi is faster than the built in search? Will it work fine for 100 000+ pages? You can omit certain taxonomies from being indexed by Relevanssi, thus improving the speed and it has a certain caching function, so in theory it’s faster than WordPress’s native search functionality, but for that many pages I’d go with a 3rd party search service. The default search is definitely faster than Relevanssi, but that’s because it’s much simpler than Relevanssi. Faster speed doesn’t help much, when the default search doesn’t even provide most relevant results first. Relevanssi is designed for smaller scale, and I wouldn’t recommend it for sites that have 100 000+ pages – the actual limit of when Relevanssi stops making sense depends on your pages and on your server, but I’m guessing it’s somewhere in tens of thousands of posts. For sites larger than that, external solutions like Swiftype and Yolink are much better. Thanks for stopping by, Mikko. I agree with you 100%, 3rd party solutions are better for 100000+ pages/posts. I was using relenvanssi until now. For some post of my site it will not come. Today only I discover ‘Swiftype Search’. It is far far better than relevanssi. It not only display result perfectly. It also display your post title while you typing. I recommend ‘Swiftype Search’. Don’t use relenvanssi. Yup, we’ve switched to Swiftype Search ourselves. It’s definitely nice to see suggested posts while searching. WordPress default search is better now. Before it is sorting by date. Now it is sorting by relevance. Also accurate result. You’re right, but for very large sites 3rd party solutions are still an option since they don’t put a big load on the server and database. You are right also. Approximately, after how many posts we can look for 3rd party solutions. Not sure, but I’d go for a 3rd party solution when a blog hits 1000 posts/pages. Relevanssi can handle thousands of posts well, but once you hit tens of thousands posts or the search traffic is heavy, I’d suggest a 3rd party solution. With the default WP search, the limit is probably even higher, since it’s still a fairly simple and efficient MySQL call, despite the added features. Heavy traffic and features are a more important reason to make the switch. Also, while better, the WP default search is still quite limited. It only searches post titles and post content, for example. You can’t find posts by author, taxonomy, custom field or anything else a proper search solution offers. What data Swiftype indexes? That’s not clear from their website. Can it handle anything else beyond post content and titles? Relevanssi gives you complete freedom: it supports lots of things out of the box, and with a suitable function you can index just about anything. Of course, not everybody needs that kind of flexibility, and in many cases WP default search is enough, or the external search by Swiftype is required. Thanks for stopping by and thanks for the wonderful Relevanssi plugin. The flexibility it gives to end users is amazing. I don’t think Swiftype can match that, but it works for simple websites. Greetings! I am brand new to WordPress and am using it to build a non-profit website. Are there search engines that will look at the media files and pull from saved .PDF files that have searchable text within them? Currently from the default search block it does not even find Media titles. If I use the Media search engine, it is finding the titles, but not anything within the uploaded .PDF files. I don’t think any search engine currently supports that, but I know Mikko Sarri (from the comment above) constantly updates Relevanssi plugin and it’s powerful. You might find what you’re looking for there. Edit – WP Search Engine “Plugins” is what I meant. Your article is really helpful, thanks for writing. I am looking forward to read more articles in future. Keep writing!!! cheers. i read the comment above, about not finding the search bar. then i moved to the header and i found… nothing!!! it took me 20 seconds to look around and hovering hoping the search would be hidden and would reveal on some mouse hovering event, but it didn’t! then i thought, maybe on the footer… and i went there., and nothing! after i thought this is so weird and almost give up… i saw there was an almost invisible frame somewhere on the bottom, which happened to be the search bar. Thats some serious usability problem right there. I seriously enjoyed reading your comment, though I’m sorry if searching for our search bar caused you some discomfort. We’re in the process of switching to our new simpler website and there are still several loose ends. Thanks for pointing out this usability issue. Footer widgets are going to be reordered/fixed tomorrow. We’re trying to implement a new search engine on our website. Right now, it is using Relevanssi… but I fear that it can hurt our site performance, especially as it grows. So right now, we are looking into third-party plugins. Thanks for the tips. You’re welcome. Best of luck. Relevanssi states that it includes ‘short code content’… can the same be said for third party solutions such as Swiftype? We do a lot of content include for specific purpose – for example, we have non-indexed (to avoid dup content) info snippets for a specific topic that can be pulled up individually – and then on a front page for that topic, we include all of those into tabbed content – so they are all available as if they are native to that page. So in a search, we would like that front page to show if one of the include sections contains the term. This of course works with google search or similar but definitely not with the internal search. Thanks for any thoughts to this. I’m not sure, but I don’t think Swiftype has that kind of flexibility, like Relevanssi does. I think the best way to go about this is to ask Relevanssi author and Swiftype’s support. Bookmarked! !, Ӏ love уour website! Someone tried this? Lot of features but does it work fine? Hi everyone and thanks for this list. Here’s another plugin that makes your product search easier with ajax search! Another great site search plugin to implement search functionality on a WordPress website is searchIQ (www.searchiq.xyz). It is easy to install, highly customizable and free to use. The plugin supports real-time indexing of website pages to deliver fast and accurate search results. Phrase matching for highly relevant results, Real-time Indexing, Auto-complete results with toggle image option, Custom Fields Search, Synonym aliasing to handle inexact searches, Weight assignment on title, content, category, tags to prioritize the search results, Cross Domain Search functionality, Responsive search results across all devices, Real-time Analytics and View & download Weekly/Monthly reports. Excellent article! Will definitely help us make the decision as to which Search plugin to use. Search relevance and query logs is also needed, of course. Currently using Total-Theme with Visual Composer. Entered wrong email on first one – please respond to this comment instead. Thanks for stopping by, but I really can’t think of such a plugin. One of our favourite features of Relevanssi is the query log. Switching the query log on allows bloggers to see which queries are the most popular. This is very valuable information to help them optimise everything from their site structure to content strategy. Another one is the excerpt displays which shows where the search result occurred. The search words are then highlighted when the visitor reads the entire post. That’s a great user experience and something that could turn those visitors into regular visitors. Hey Zesty Lemon guys, thanks for stopping by and explaining why Relevanssi is the best search plugin for your needs. I do agree that not many WordPress search plugins can surpass Relevanssi when it comes to giving feedback about users’ search habits and queries. I’ve never used it for optimising site structure, but I think it makes sense. And yes, highlighting the search words is a great feature that improves UX and SEO. 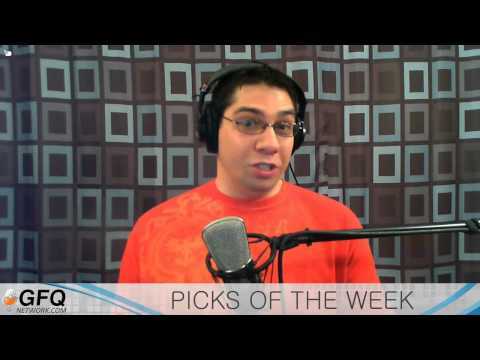 What else do you guys use, besides Relevanssi, for your website performance optimisation? What do you recommend for customers, what’s better, Swifttype or Relevanssi? Because the registration is a little border to use it. The way I understand, Relevanssi uses search logs for suggesting its own. As for prominence of our Search bar, we’ll make it more eye-catching for sure. The design tweaks are still in progress. We’re using the default WordPress search here on ThematoSoup because our IA is pretty straightforward and easy to index. Unfortunately, I still cannot choose between the two. Swiftype is definitely better in terms of ease of use (appart from the whole registration thing) and conserving your server resources, but Relevanssi gives you so many options (many of which I still haven’t figured out) and it’s been around for ages so you know it’s well maintained and updated regularly. I suggest you try them both and see which one suits your users better. Thanks for your swift and kind reply! I’ve chosen Relevanssi for now, mainly because of the pricing. I was looking for a plugin for clients, but Swiftype is just way more expensive. (220$ vs 55$ a year), mainly aiming for small businesses, this is quite a big spending in my point of view. Though, I do like Swiftype more, indeed in ease of use. When I find clients which suit the payment plan, I’ll take Swiftype probably.